Born and raised in the city of Yellowknife, Northwest Territories, Thomsen is a Métis who grew up camping, fishing, hunting and trapping throughout southern Denendeh (Northwest Territories) with his family. 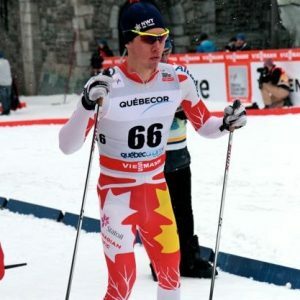 Representing Canada at the World Cup and the World University Games, Thomsen has trained and competed in cross-country skiing for most of his life. Over the past eight years, Thomsen has attended Lakehead University, Athabasca University and Quest University before graduating with a BSc in Liberal Science from Nipissing University. Thomsen is interested in Indigenous health issues and promoting physical activity. He has worked as a researcher for a Métis Traditional Knowledge Survey and he has conducted a research project on Harm Reduction for the Yellowknife Health and Social Services Authority. Thomsen was chosen as one of ten Jane Glassco Northern Fellows for the 2015-2017 cohort, a program by the Walter & Duncan Gordon Foundation. During the Fellowship, Thomsen will focus on developing upstream preventative public health and wellness policy. He is very excited to live in the North again and spend time out in the bush. Thomsen is currently pursuing medical studies at the University of British Columbia.